The Florence Festival of Books is coming soon! This year’s event will take place September 28-29th, 2018. ALL THE AUTHOR AND PUBLISHER SLOTS FOR THIS YEAR’S FLORENCE FESTIVAL OF BOOKS ARE FULL. 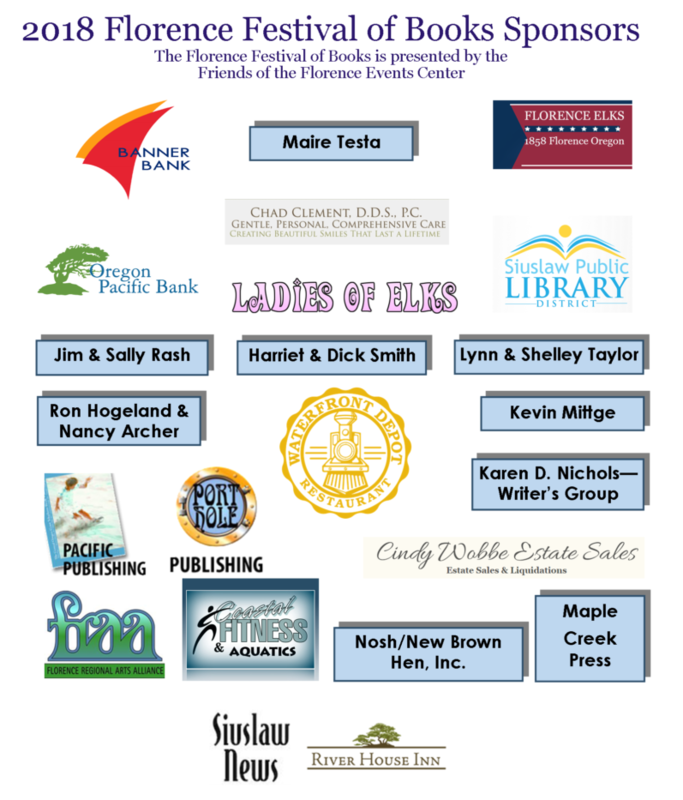 The Florence Festival of Books takes place at the Florence Events Center on September 28 and 29. This is an event for anyone who wants to learn about great new books and meet publishers. Meet more than 70 authors and publishers at this year’s Florence Festival of Books. This your chance to get signed books from some of your favorite authors, and meet new favorites. See the list of this year’s participants. The amazing author Amy Stewart will be at this year’s Florence Festival of Books. Join us on Friday, September 28 at the Florence Events Center at 7 p.m. Click here to purchase your tickets today! Join four authors with four unique approaches to marketing (and selling) books. This free educational panel is open to the public on Friday, September 28 from 3 to 4:30 p.m. Click here to learn more. Go here for the answers!